German Chancellor Angela Merkel has praised a significant contribution to the implementation of the national reforms and the protection of Ukraine’s independence and security made by Arseniy Yatsenyuk as the Prime Minister of Ukraine. Ukrinform learned this from the press service of Arseniy Yatsenyuk. 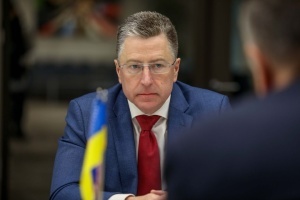 "In a telephone conversation, held on April 10, German Chancellor Angela Merkel expressed the words of respect and gratefulness to Prime Minister of Ukraine Arseniy Yatsenyuk for his significant contribution to the implementation of the national reforms and the protection of the independence and security of Ukraine. 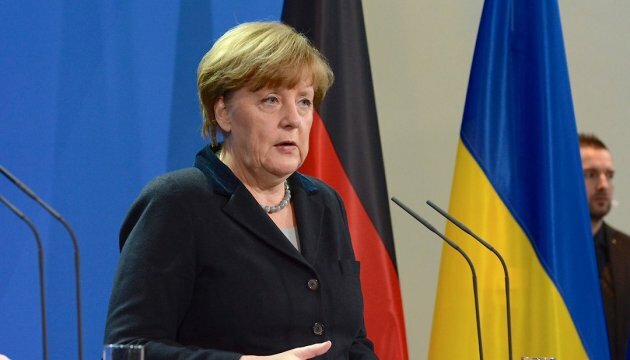 Merkel thanked the Head of the Ukrainian Government for the partnership, the high level of mutual trust and effective cooperation between Ukraine and Germany," reads the statement. As noted, Merkel assured Yatsenyuk of the continued support for Ukraine in the national political and economic transformations, the successful implementation of the Minsk Agreements, as well as ensuring the stability and prosperity of Ukraine.